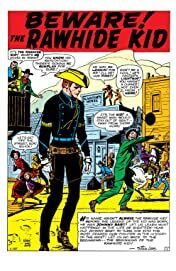 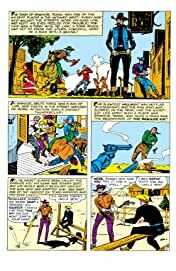 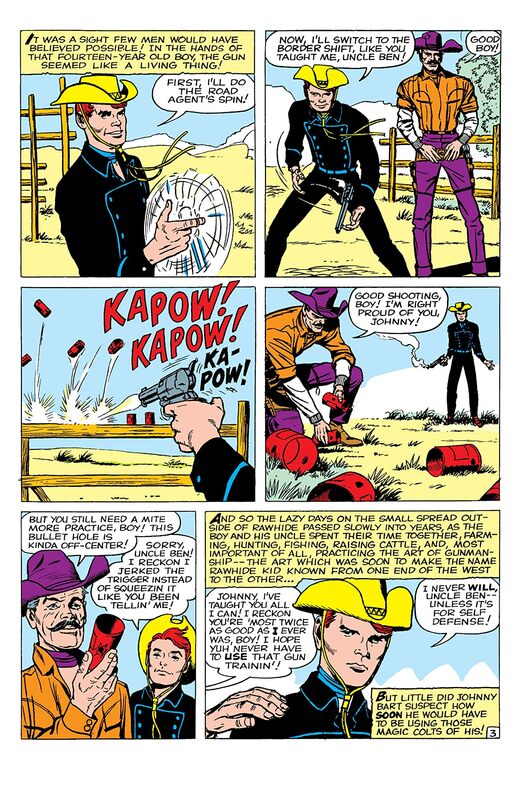 Collects Rawhide Kid (1955) #17; Fantastic Four (1961) #1; Incredible Hulk (1962) #1; Two-Gun Kid #60; Sgt. 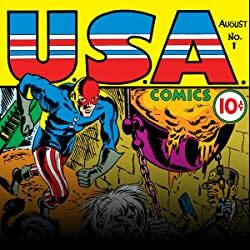 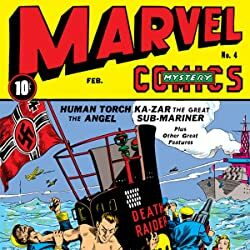 Fury And His Howling Commandos #1; Avengers (1963) #1; X-Men (1963) #1; Daredevil (1964) #1; Ghost Rider (1967) #1; Marvel Super-Heroes (1967) #12 And #19-20, Captain Savage #1 and Material From Amazing Adventures (1961) #1; Tales To Astonish (1959) #27, #51 And #70; Amazing Fantasy #15; Journey Into Mystery #83; Strange Tales (1951) #101, #110 And #135; Tales Of Suspense (1959) #39, #49 And #59; Silver Surfer (1968) #1. 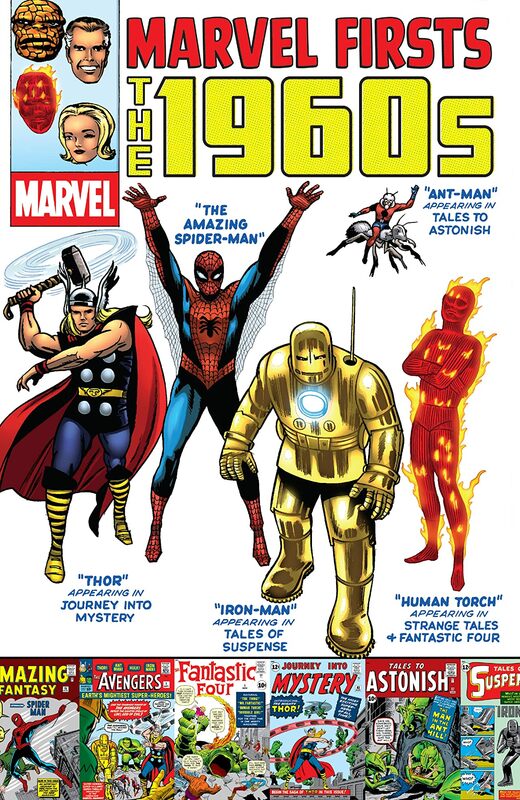 With the debut of 1961's FANTASTIC FOUR #1, Marvel Comics reinvented the super-hero genre - and the hits just kept on coming! 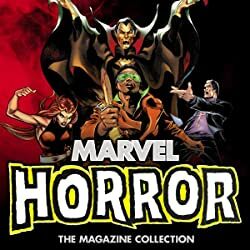 Compiled in one titanic tome: the famous first issues of dozens of your favorite super heroes and super-hero teams - including the Hulk, Dr. 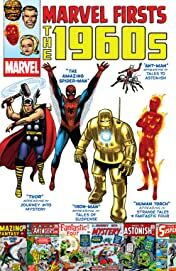 Strange, Nick Fury, Iron Man, Thor, Spider-Man, Daredevil, the X-Men, the Avengers and the Defenders! 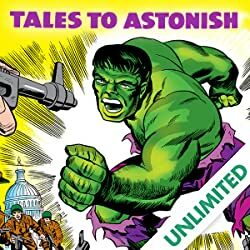 And witness the unlikely solo breakouts of the Human Torch, Red Wolf, Dr. Doom, the Silver Surfer, the Black Widow and more!